For several months, there has been widespread speculation about the HTC One Mini, and finally the device has been officially announced by the Taiwan based manufacturer. 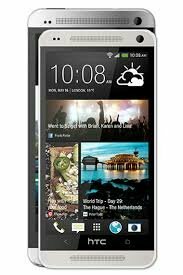 The phone is likely to be a success, given the millions of sales and critical acclaim achieved by its flagship counterpart, the HTC One. Obviously, the HTC One Mini will be a smaller version of the company’s flagship model, but will come with several downgraded specifications along with a lower price tag. Recently, GSM Arena reported on the full details of the handset’s features. It appears that the majority of its specifications coincide with previous rumours about the device in recent weeks. The handset is lined up to include a 4.3 inch S-LCD2 720p display with Corning Gorilla Glass 3. The amount of processing power will be slightly downgraded from its flagship counterpart, with a 1.4 GHz dual-core Qualcomm Snapdragon 400 processor and 1 GB of RAM. The device comes with 16 GB of internal storage, and although no microSD slot is included, this amount of storage should be ample for the needs of most users. Android 4.2.2 Jellybean is the phone’s operating system of choice, and it will of course run in conjunction with HTC Sense 5.0 UI. Several of the same software features from the HTC One are included, such as BlinkFeed, along with impressive sound quality thanks to BoomSound, Beats Audio and front facing dual stereo features. The device will offer similar styling to the HTC One, thanks to a similar aluminium chassis. Visit our website for more details on the features of the HTC One Mini, and compare HTC One prices. The same 4 Ultrapixel camera of the HTC One will also be incorporated, with the addition of the HTC Zoe feature, led flash and 1080p video capture, plus a 1.6 megapixel front facing camera. The HTC One Mini is rumoured to be released in the UK on the 9th of August but we will be sure to keep you posted when we hear of any further details regarding its availability and pricing.